Description : EHMA is a not for profit membership association, administered by a secretariat with oversight from a board made up of elected and co-opted members. EHMA’s Membership is open to all institutions that support the Association’s aims. EHMA currently has over 160 member institutions across 31 countries. EHMA’s aim is to improve the quality and build the capacity of health management across the European Region. The Association seeks to improve health management and health policies through the development and exchange of both ideas and practices among academics, researchers, managers, clinicians, policy makers and consumers throughout Europe. 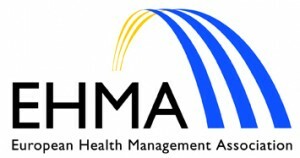 EHMA defines health management in its broadest sense, including management in public health and clinicians (doctors and nurses) in management. EHMA structures its activities under three multiannual areas: quality and inclusion, innovation and sustainable health systems, underpinned by leadership and knowledge transfer.